Today Johann Sebastian Bach is known for musical masterpiece compositions that have stood the test of time for over 250 years. How does his musical composing technique apply to your successful Garden Design? 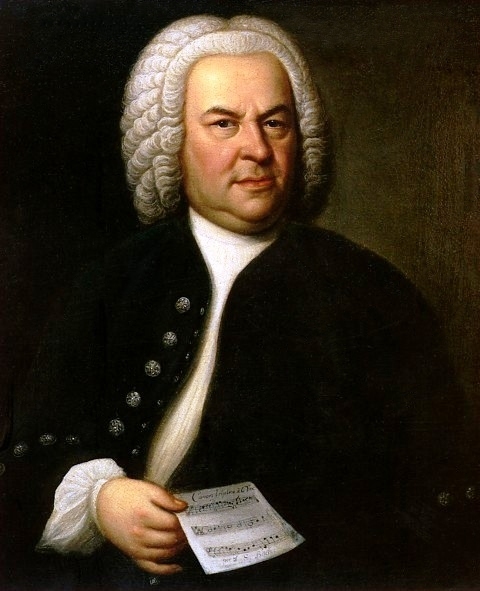 Mr. Bach’s musical creativity flourished within the prevailing limiting German framework of his time. He identified and understood the framework’s limits. His creativity flourished with robust technique and organizational form into rich music composition. The limits focused his creativity. Every garden site and every landscape site has it’s limits. It is up to the successful garden designer to identify the limits and build the framework where creativity will play. Think of creativity as a large volume of air forced through a tube. The tube limits air flow. Concentrating, focusing, and intensifying the emerging air with great power. The power capable of propelling large vehicles across the sky, through the oceans, and across the land. Likewise a garden designer’s creative power is boosted with limits. A successful landscape designer is very good at identifying the limits of the sites framework. For example, limit plant choices to only those that will thrive long term and reach their potential. What good is a plant that will struggle? It is outside the limits. Limits enable creativity to be set free to do more with less. Begin by starting at the end. What is your goal? What do you want to accomplish? When you close your eyes what does your outdoor space look like? Sometimes clients will say to me, “I don’t know what it looks like, that’s why I called you.” That great. I’m here to help. Your desire is an important part of the framework. How do you want to use this part of your property? Write it down. All of it. Those ideas gathering in your mind from garden visits, magazine gazing, Pinterest, resort stays, TV and your dreams. Here are some examples that will help you build your Desire List. Don’t forget write them down! Pictures? Definitely pictures, that’s a thousand words right there. I’m sure you have more. Add or subtract to the list. Its your landscape. What are some other limits you can you add to this list? The good thing about science limits is that the rules don’t change from site to site. It’s the application of the rule that limits. Don’t ignore science rules if you desire a landscape design that will give you long term joy. These should get you started. Does your garden play on your emotions? Yes, it makes me want to cry. Hopefully they are tears of joy and not frustration. The Aesthetic Rules challenge is to limit emotional to positive responses only. Let’s design the negative emotional responses out of the framework. Here are some areas to pay attention to and develop for positive impact. Throw in other sensory items like smell, touch, and sound also. I know they are not aesthetic, but they are strong emotional and memory stimulators. Where is your landscape space located? Urban city space, large open country side space, Suburban subdivision space, high rise roof top space or balcony space, they all have Organizational Rules. These Organizational Rules guide the relationship of smaller spaces with each other and the whole landscape space. Think in terms of multiple small puzzle pieces making up the larger landscape puzzle picture. Each smaller space should have at least one function or purpose. Multiple function or purposes per piece is even better. As each puzzle is put together think about how you move from one smaller space to the others visually and physically. Each smaller space should relate, support and strengthen the whole and each other. Here are puzzle pieces that will be helpful in organizing your landscape spaces. For many of us the ultimate limits are time and money. Invest wisely. Define the framework with a landscape garden design. This will save time and money guiding you on a successful path. It is very helpful to build your landscapes and gardens on paper first. It helps discover potential problems and explore solutions that yield the best returns for your time and money. The design becomes your tangible goal. It has been my experience that goals written down have a better chance of being accomplished. It allows you to set small goals that can be implemented as time and money are available while arriving at the larger goal with a comprehensive completed landscape project that works for you. Keep your eyes on the goal. Remember unfocused creativity is powerless. Create within the limits. Eliminate the infinite possibilities that waste your time and money resources. Recognize the limitations in time, space, and resources. Landscape designs and garden designs are easier when you subtract everything that will not work. Abundant choices will paralyze and distract you from creating your dream garden. When you ignore the limits of your landscape garden site it will frustrate, overwhelm, and fall flat. Discover your limits. Johann will be proud of you and your garden. Get smart tips, trends, stories, science, and design techniques for your landscape & garden's health, wealth, and wisdom - without the noise and fluff. Click or call for your Smart Landscape Solutions with year round interest and easy maintenance.